You might need to switch from an iPhone to any Android mobile due to a number of reasons. While trying to transfer messages from iPhone to Android without iTunes, you must have observed that it is bit tricky to let the migration take place. Though, having a Google account might help in few aspects. Well! if you are apprehensive about initiating the process then watch out for this space. In this article, we are going to explain how to transfer messages from iPhone to Android in 3 different ways. Method 3: Can You Transfer Messages from iPhone to Android Using SMS Backup & Restore App? In case you are wondering how to transfer messages from iPhone to Android, Tenorshare iCareFone would ease off your burden. 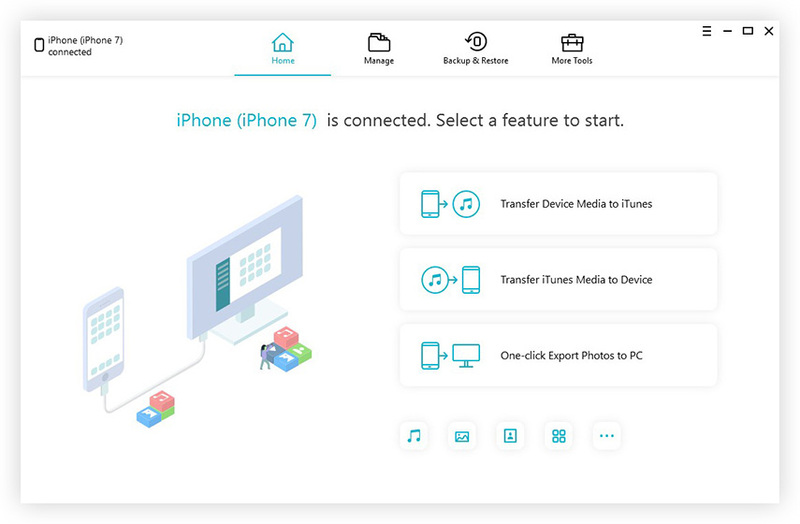 It can transfer files from iPhone to computer or computer to iPhone without any glitch. So, using Tenorshare iCareFone, you can easily transfer SMS from iPhone to Android through your computer. Being a reliable file manager it can effortlessly organize your iPhone's files. The best part about this software is it can save you from irritating Ads while using your device. You don't need iTunes to transfer data or sync your iPhone with your computer. Moreover, as it deletes junks from your iPhone and boosts performance. No matter what kind of issues occurs with your iPhone, Tenorshare iCareFone can seamlessly handle it. From an iOS device that is frequently crashing, gets frozen while updating, doesn't perform well, apps not working, or stuck on connect to iTunes logo, this software can fix everything by putting it in and out of recovery mode. 1. The software allows you to delete junks and enhances the performance of your iPhone all the while repairing your iOS system. 2. This multifunctional software has 6 different tools bundled together for resolving day to day iOS issues such as performance issues, iOS device getting stuck during update, or meet export or transfer of iOS data. 3. Backing up and restoring iOS data is a quick exercise with this program. 4. Flexible data transfer between computer and iPhone can be done using this application. 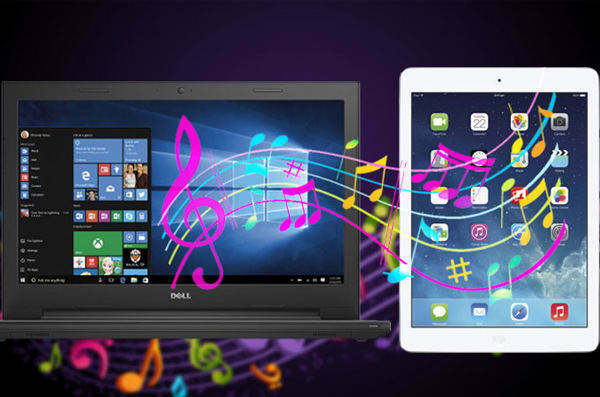 Step 1:	Install and launch Tenorshare iCareFone on your PC and get your iPhone connected using a lightning cable. Now, click the 'Backup & Restore' option thereafter. Step 2:	From this section, click on the 'Messages & Attachments' check box and then hit the 'Backup' button. Wait for few minutes to get the backup process take effect. On the left panel you have to tap the check boxes against 'Messages' and 'SMS Attachments' so that you can you transfer messages from iPhone to Android. Step 3:	Now, you can either select a specific message or all the text messages by tapping the check box and then hit the 'Export to PC' button. Once the messages are exported to the computer, you can connect your Android phone and export the messages to it. If you want to transfer messages from iPhone to Samsung galaxy S4/S5, then iSMS2droid app is an option for you. But, you need to keep in mind that it only works for unencrypted SMS database. Encrypted databases of SMS are not compatible with this app. It is important to have the iPhone SMS database file on your Android phone prior to this process. For this, you need to backup your iPhone with iTunes (like you usually do) and locate this file on your iTunes backup folder, then transfer it to your Android's local storage. 1. Download the app from Google Play Store and launch it. Select the 'iPhone SMS to Android importer' option. 2. Click on the 'Import Messages' button from the interface and locate the iPhone SMS database files. 3. From the popup asking for confirmation, tap on the 'Import All' /'Select by Contact'. Wait a while when the conversation is being loaded. 4. Select the desired conversations from the list by marking the check boxes against them and tap 'OK'. 5. The messages will be imported in a while and you will see 'Import done!' message on screen. Click 'OK' and you are done for the day. You can also transfer texts from iPhone to Android using SMS Backup and Restore app. You can also delete all SMS or call logs from your Android with it to empty device space. You can create local backup of SMS and call logs or on Google Drive OneDrive, or Dropbox. As this app only backs up and restores Android SMS, you might need to decrypt the iPhone SMS database files first that we copied to the Android device in the previous method. 1. Download, install and launch the app on your Android phone. Hit the 3 horizontal bars on the top left corner and select the 'Restore' option. 2. You will be asked to select what you need to restore. Select 'Messages' by sliding the bar to right and choose 'All messages' or 'Selected conversations only' then click 'Restore'. We would recommend Tenorshare iCareFone, if you are still unsure about how to transfer messages from iPhone to Android without iTunes without any trouble. As you have seen that the above mentioned apps have their own set of drawbacks and restrictions for transferring iPhone text messages to your Android phone. But, Tenorshare iCareFone is the best method to let you securely transfer data and improve the performance of your iPhone as well. as it doesn't need you to bother about any external program to restore or backup the messages. All of the exercises can be easily be done with this single software.